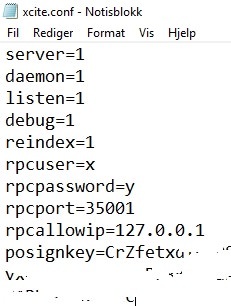 Here's a basic script that makes spamming the network automated. Set and forget. It works well enough, and i encourage you to use it until we find/make something better. It requires PHP. And you are welcome to join us in the testnet channel on Slack if not there already. Ask for an invite in #general. By default the script will send 3 transactions of 1 xby to the first address in 'run_testnet_spam.bat' every ~0.5 second and move on to the next address. Once it hits the last address it will start from the top. The looping transactions will continue until you close the command window. How fast you can send transactions depends on your computer. There are some settings you can adjust if the script causes your wallet to freeze. Default is 2tx/second. Scroll down to #7 for a guide on this. Edit: Updated the script. It should send out transaction 50% faster than the previous one. 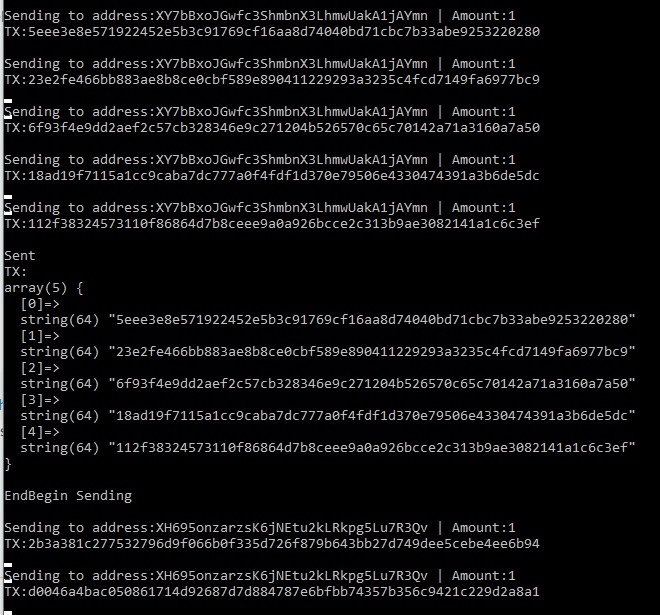 Added a ton of new receiving addresses as well as better control of the transaction speed. You need to replace 'xbytestnet.php' and 'run_testnet_spam.bat' with the updated versions. Open your xcite.conf file. It's in the same folder as wallet.dat and the blockchain. Locate your xampp installation folder and open the php folder. Copy the folder address. Create a new folder and unzip the scripts. You should have 3 files, 'easybitcoin.php', 'xbytestnet.php' and 'run_testnet_spam.bat'. Replace "C:\PATH\TO\PHP\FOLDER" with the location of your PHP folder from step 4. In the section below :start you can change the addresses you will be sending to. Locate your own wallet address and remove that line from the script if you are on the list. No point in sending coins to yourself. Make sure you have restarted Xcite.exe after changing xcite.conf so it starts with the new parameters allowing the script to communicate with the wallet. If you want to change the speed, how many transactions gets sent to each address or the amount of xby per transaction, open xbytestnet.php in notepad(++). $loop_times - This changes how many transactions gets sent to one address in the .bat file before moving on the next line. That's basically it. Hope this made it easy. Let me know if there is something i should improve. Thanks to @marqric21 on slack for helping out! fish313, SuperAdmin, Yankee Ruin X and 2 others like this. very good guide @molten thanks for putting this together. Good work, and great walkthrough explaining how to use it! I'll give it a try. Another quality of life tip if you are running windows 10 and are getting spammed with notifications. I finally got it to work! Is there a way to speed up the transactions/second? EDIT: inside xbytestnet.php, by changing the sleep to usleep = 100000 for example i get 1tx/s. Lowering that number raised the transaction speed. My computer can handle around 10tx/s , then the wallet freezes, but the script continues to run. The goal is finding the sweet spot where your wallet is able to keep up It's different for everyone. The script should be pretty safe for most computers though, at least computers with a SSD drive. So are we actually encouraged to have this run for testing purposes ? Great stuff.. can we currently run this?